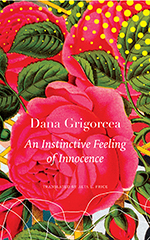 The following is from Dana Grigorcea's novel An Instinctive Feeling of Innocence. After moving back to her hometown and being robbed, Victoria takes time off to wander the streets, seeing her childhood memories manifest and intermingle with reality. Dana Grigorcea is a Swiss-Romanian essayist, novelist, and children’s book author. Her debut novel, Baba Rada, won the Swiss Literary Pearl. He wanted to stand on a balcony and look out onto a grand boulevard. It was to be as massive as the one in Beijing or, even better, the one in Paris—a Romanian Champs-Élysées to replace the old boyars’ houses with their rotten roofs and unkempt gardens, wiping away the winding old alleyways where epidemics could break out at any moment. And so the entire city quarter of Uranus, atop Arsenal Hill, was demolished, whereupon the city’s 28-year-old chief architect—whose thesis had been devoted to the ‘urbanization of fallow lots’—gave her comrades the good news that they now had free space to work with, an area ‘as big as Venice’. ‘Bucharest’s Champs-Élysées’ had been known—or, more accurately, not known—as the Boulevard of Socialist Victory. It was slightly shorter than its Parisian forerunner but made up for it by being a full 8 metres wider. Nicolae Ceausescu never had the chance to bow solemnly down from that balcony, so Michael Jackson did it in his stead, complete with glittering white glove. This was three years after Ceausescu’s execution, during Michael’s Dangerous World Tour. Back then hardly anyone left home without their personal copy of his Dangerous cassette—people carried them around just like the Chinese kept Mao’s Little Red Book on hand during the Cultural Revolution. Everyone who owned a cassette player, like we did, would play ‘Jackson Poker’. You’d take a pencil or your finger and spin the tape to a random spot. Each player then had to guess what Michael would be singing when the music resumed. After everyone had placed their bets, the cassette was pushed into the recorder and the person whose guess was closest won the round. She said you know my name . . . I had two copies of the Dangerous cassette. I listened to one and kept the other hidden in a safe place, in case the first one broke. When CDs came along, my father bought me the album on CD, in case we ever managed to buy a CD player. When it was announced that Michael would be brought directly to the People’s House upon landing in Bucharest, I was one of the seventy thousand fans who, under the dark of night, pushed their way into the concrete gorge between the nearby residential blocks, an area known as Via Mala. Before us loomed the steep rock wall of the monstrous building, still under construction. It, too, could have been a night of sorts—a black, starless night, behind which one would find only wasteland and fallow terrain. For the first time, I now stood in front of this building, a massif I had only ever seen at a distance, from the window on Dr Joseph Lister Street. And I probably never would have come here if it weren’t for Michael. There were only a few sporadic shouts until the helicopters showed up, piercing the night with cones of light. The crowd’s shouts grew, ‘Michaaael, Miiichaaael,’ ropes were dropped from the helicopters, and everyone looked up to see if Michael was going to slide down to us amid the relentless autumn rain. Is it a friend of mine? I can’t take it ‘cause I’m lonely. Out of nowhere the night exploded before us, with a roar and apocalyptic fireworks all around the People’s House. The sound of sirens struck us from all sides. 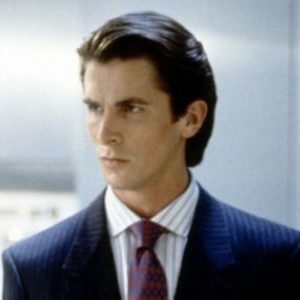 ‘Michael, Michael,’ we called out to our archangel. Everyone stretched their arms out into the rain, their fingers forming the victory sign—much like the one democrats had flashed a year before, but now with index-finger and thumbs, no longer the V-sign made with the index and middle fingers used in the so-called revolution, since the nomenklatura’s cruel, gruesome spectacle had made us out to be the suckers. Once the smoke had settled, washed away by the rain, we had a clear view of what was once the mere People’s House, and now revealed itself, in blue contours, to be the Heavenly People’s House, the House of all God’s People. From An Instinctive Feeling of Innocence by Dana Grigorcea. Used with permission of Seagull Books. Translation copyright © 2019 by Alta L. Price.